I really fell behind and didn't get any new earrings posted last month. It's not that I didn't make any but they were made up for challenges so I couldn't put them up here. These earrings came about because I was playing with the various polymer and lampwork headpins I have been collecting and these from JKD Studio just demanded that I use them. I just added some Tiaria crystal and magnesite beads, and they were ready to go. These actually started out as a joke. When I was corresponding with one of my partners from Saturday's hop, I told her I don't do yellow. So as a joke, she tossed in some yellow beads. I actually made this for the hop but somehow I managed to misplace them until the day after. So anyways I thought they deserved their time in the sun. They will be donated to Ears To You. 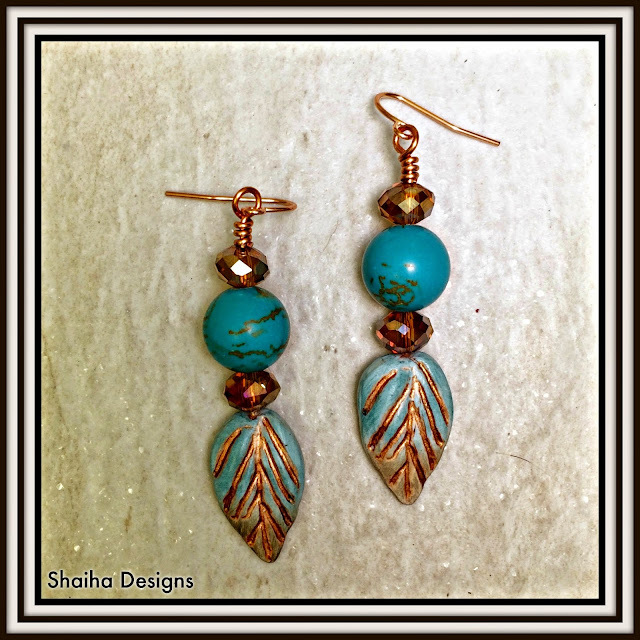 Very pretty earrings Shai. Love the colors and design of the first set. The second pair are so sunny and happy. Lovely work! 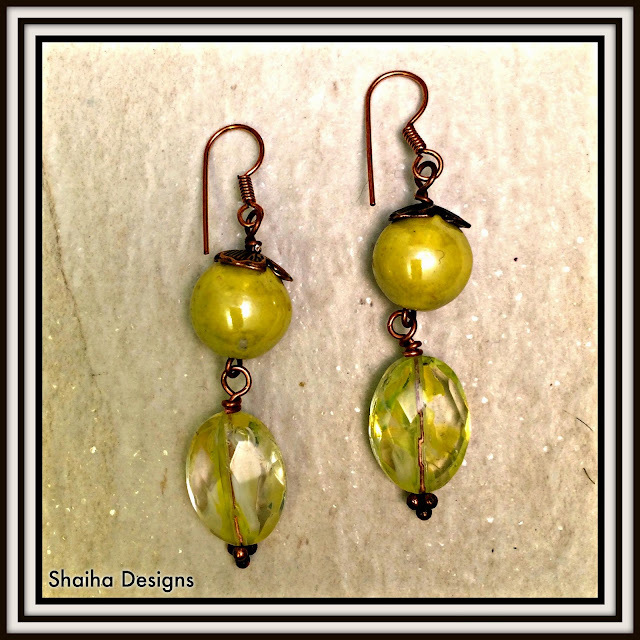 I really like the first pair of earrings Shai. Sorry to be hopping so late... I'm still catching up from traveling! I would get a lot of wear out your first pair... those colors are right in my wheel house. Kudos to you for breaking out and using a color that doesn't feel comfortable to you... they look great and will make someone very happy. Thanks for playing along with me!